The fashionable Delano dining collection is inspired by elements of European modern style and given a contemporary twist. The four-leg dining table features black glass inserts, a scalloped table apron and a drop in extension to be able to accommodate eight, making it the perfect choice for entertaining and showing off your good taste. The server features scalloped doors and sides, complete with built-in wine storage. 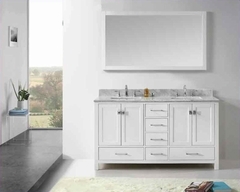 The two-piece curio, with wood and glass doors, is the perfect size for smaller spaces and provides plenty of vertical storage, ideal for homes where space is at a premium. 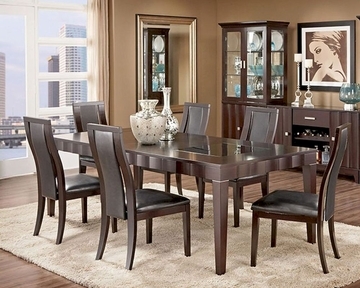 For larger dining rooms, the server and curio can be bunched together for additional storage and display options. Rounding out the collection are the gorgeous and comfortable contoured side chairs in black polyurethane. 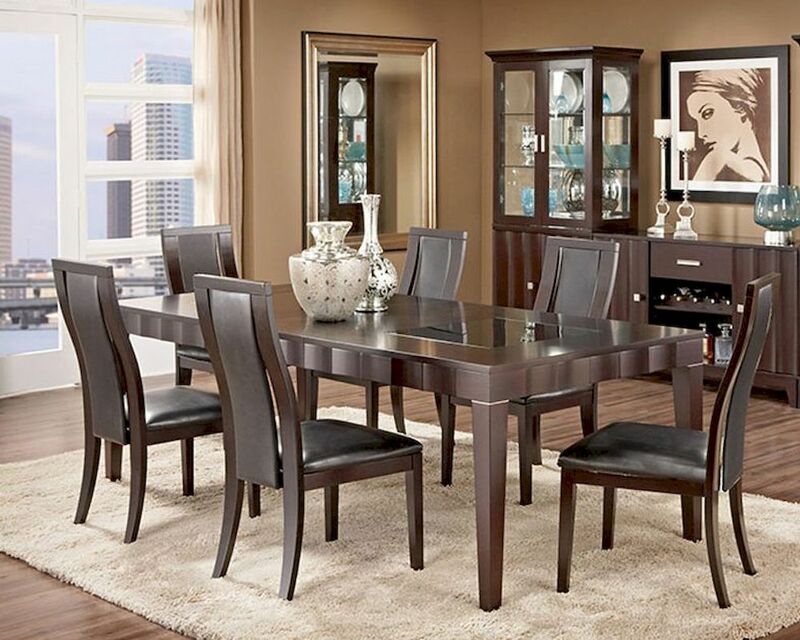 Made from solid hardwoods and birch veneers and finished in a luxurious chocolate color, the Delano dining collection has the right mix of details and features to satisfy your taste for modern styling without sacrificing any comfort or function. 1-18' extension leaf to 90"